In 2009, the work of the Terra Foundation had centered itself in 4 areas: Inspirations for the change, saving and efficiency, vital simplicity, and solar activism. 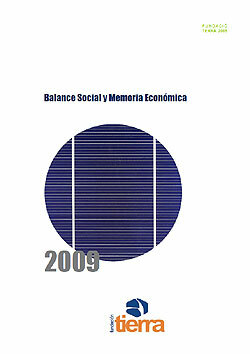 We highlight the activities that are more relevent to the campaign of Guerrilla Solar , the Campus Tour The 11th Hour: Action in the Penultimate Hour , and the Catalog of entertaining and educational environmental services. The Terra Foundation applies in their management, values of transparency in order to guarantee the confidence of its donors. We are driven to develop, encourage, and bring to the disposition of society, the best tools possible for this social transformation, from activism in the environment and energy awareness to austerity and the decrease in use. We all have the vision from a small and creative scale to open braves and authentic ways to sustain the human beings on the Earth, with the objective to be apart of the solution instead of the problem.